Georgia may be on the other side of the Muslim refugees’ path, but that isn’t to say that it hasn’t felt the threat of terrorism and the need to defend itself against it. During its recent visit to israel, former Minister of Defense, Irakli Alasania, spoke with Shavit Or, homeland security director at I-HLS, about Georgia’s war-torn past, its defenses against terror and the very much welcomed aspect of cooperation with Israel’s defense industry. Do you in Georgia feel the pressure of Jihadi Islam in your borders? Of course, it’s geographically close to us but at the same time nobody is immuned of having the extremism as a problem and Georgia has experienced the violence of it in previous years. Now we have our own citizens being part of Daesh that are radicalized, and this is an extremely important issue for the Georgian government and the Georgian people. We feel that this threat is serious and we call for more cooperation and intelligence sharing between the regional countries because it is important to fight this with the knowledge that we have. I think that the problem can only be solved by a united effort and I would urge the countries who are bordering with this escalating region to be more forthcoming in sharing this information and to really control and track those people who are having in mind to harm our nation and society. There is no one clear definition for terror all over the world. There’s no one law for terror. Do you think that a rule should be taken specifically to challenge terrorism? I think no one has never seen anything like this before, what we are seeing now in Syria and Iraq. Terrorism has transformed itself, it’s not traditional. I think we have to adapt to the changes by, of course, changing the law. We initiated in Georgia some changes in the law of counter-terrorism. So I think it should be very point-specific on some level but at the same time I think we should come up with joint conventions and an international framework. A legal framework that will allow national countries to be more effective. In that regard i think regions around Syria and Iraq and the Middle East have to have initiatives. And we have to join these initiatives to offer tools to our law enforcement and counterterrorism people to do their job because this threat is not a traditional threat. It is changing everyday, mutating, so I think we also need to have adapted new instruments to fight back. Is there an influx of refugees coming into Georgia as well? No, not as much as other countries, but we understand that what is happening in Europe at this point is missed opportunities and failed policies. Leaders of European countries were not focusing on these possibilities, their imagination could not grasp the possibility of such a huge scale of influx of refugees and they are not prepared. I think that now they are realizing that if they had concentrated more time, efforts, troops and resources to fight them inside Iraq and to build structures that would not have allowed the grow of Daesh, they would have avoided this kind of consequence. They are now adapting and it will be a long and hard process, it will not be easy. This is why Georgia feels threatened though we don’t have as much refugees coming, but we do fear that Europe will not be stable. Then Georgia’s relations with Europe will also be affected by this. What is Georgia’s defense program for Homeland Security? Georgia has learned a lot of lessons in the past 25 years. Georgia is the only country in the whole world that has had three military confrontation with the Russian federation. I think there was a lot of misunderstanding that politicians inevitably translated into the military confrontation, but now we are learning from it. My generation of politicians and the security and defense experts, we are putting more efforts and thought into preventive policies. We need to think more before we act and that is why, when I was the defense minister, I always put more efforts on intelligence, analysis, rather than only having the equipment. I think that is the major point that we learned from our past and I think Georgia has the potential to be growing as a leading country in the region. What is Georgia’s take on intelligence technologies against hostile persons in the country? As a citizen, of course I’d like to have more [technologies], and that is why I’m advocating the increase and funding of intelligence, counterintelligence and counterterrorism agencies. But I think in Georgia it is more or less safe to say that we have instruments in place that make us more secure at this point but recently there were several arrests made that were evident that the borders are not invincible, and some people with bad intentions are coming in and out so I would say that we need to do more in that field. Do you foresee a cooperation with the Israeli defense market for this purpose? Definitely. As a defense minister I initiated a security dialogue between Israel and Georgia on these issues. We had a few sessions and I think first and foremost we have to identify those areas where Israel, for us, can serve as a model. Technological advancements that Israel has achieved is, from Georgia’s standpoint, very successful. I think specifically in security technologies Israel can be the best partner for Georgia because your environment of security is the same, almost, as Georgia’s. So I put a lot of emphasis on the Israel-Georgia cooperation as a politician and hopefully we can advance this operation in the future. What do you feel is the level of influence that Russia’s presence and interests have over relations between Georgia and Israel? A wise man once told me that you should keep the Russian bear at the right distance. If you are going to get too close, it will hug you and maybe it will crush you. If you are going to be too distant, it will feel a threat and come after you. So it is about having the right relationship. We’ve learned from our past . I, Myself, and my people also think that we have to have a new political agenda with Russia. 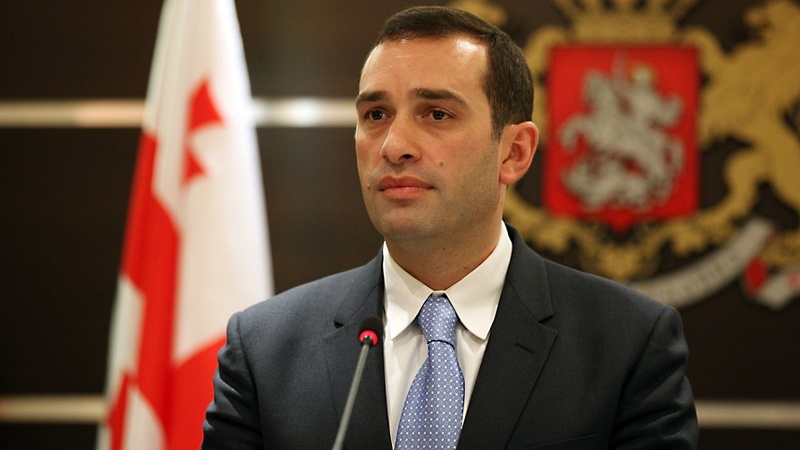 I think terrorism is one of the issues in which I cooperated with them, I was head of the Georgian counterterrorism efforts back in 2002-2003 when we were fighting extremists and I had a cooperation with Russia at that time [based] on information sharing. I think specifically that this field [is one] we can explore and base our trust on because the trust now is shaken, after the war. It is definitely here, it’s present. We can not change geography so this is why we have to build with them, not on a confrontational level. The occupation of Georgian territories will of course always be the main point that we have to deal with, but while we cannot start talking at this point about the occupation, because it is not realistic, there are other issues that can build trust. Counterterrorism, sharing information, is one of them, economic and other activities and also public diplomacy, so as a politician I will seek the opportunities to start building a relationship with Russia. I think it will also help having this kind of pragmatic relations with Russia. It will also help to elevate security and dialogue with other countries that are taking Russia into account, and Israel is one of them. I must say I’m surprised to hear, knowing your political party line, that you have such a clear, optimistic view of the future. Well, yes. You have to believe in things if you want to achieve them. We do think that Georgia has a good potential and we are not going to waste any time. We have to take action.